Led lighting is one of the most phenomenal inventions in lighting since the very first light bulb brightened a room. These lights are not only saving the environment, they are saving on utility costs as well. LED Lighting Systems For Home Or Office are a perfect alternative to traditional lights because they are both effective and elegant. 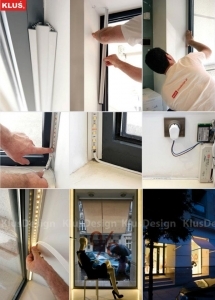 KLUS Design is a manufacturer of LED lighting systems, sometimes called LED profiles or LED extrusions. Klus offers an impressive line of surface mount fixtures, as well as suspended and recessed fixtures. There are several different styles and size options available in each line of fixtures, making them practical and perfect for any application. Whether used in an office or a home, the stylish and affordable LED lighting systems by KLUS transform any room into an extraordinary room. It is very interesting to see the many different ways that suspended and extrusion LED lighting systems can be used to enhance focal points and even create unique focal points. LED lights are often used to place an emphasis on collectibles, trophies, artwork, and anything else that needs a little bit of unique illumination. A lot of interior designers prefer to incorporate LED lighting systems to make their designs brighter, which helps in making a bolder statement. Additionally, architects love using LED systems in coordination with their most interesting architectural designs. These lights are great when paired with features such as spiral staircases and customized cabinetry. LED lighting is also perfect for using inside closets, for illuminating customized flooring as well as in many other applications. LED lighting really transforms any area they are installed. One of the popular types of LED fixtures offered by KLUS is their line of suspended fixtures. With suspended fixtures an LED light bar is connected to cables that suspend the light bar over a specific area. These suspended fixtures are great for use over desks, kitchen islands, and any other area that needs a simple, yet interesting and elegant light. The many innovative LED lighting systems that are available through KLUS Designs makes it easy to light any interior or exterior area with style. KLUS is a world renowned provider of premier LED lighting fixtures that are used in both architectural and landscaping designs. Wherever illumination is needed, KLUS LED lighting systems offer more than just light, they offer brilliance with trendy style.